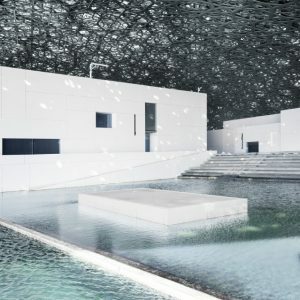 Louvre Abu Dhabi is the first large museum of its kind in the Arab world: it is a universal institution which focuses on histories of humankind among different cultures and civilizations. 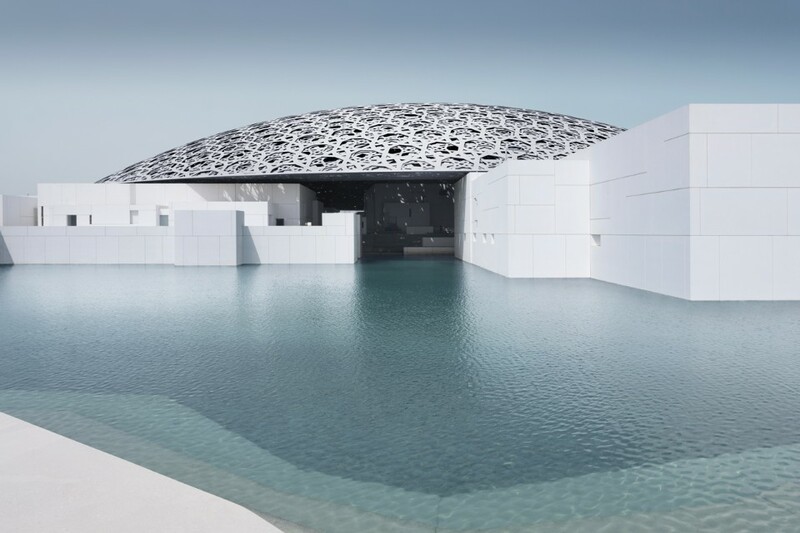 In Abu Dhabi, the capital of United Arab Emirates (UAE), the French architect Jean Nouvel designed a museum city being inspired to the Arab medina, under a huge silver-plated dome. 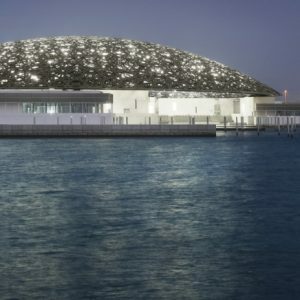 Visitors have the chance to walk along the esplanade under the dome which has a 180-meter diameter and consists of about 8000 single metal stars which are organised following a complex pattern. 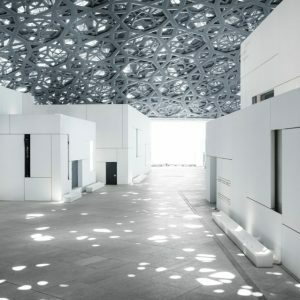 When the sun filters through the dome, a “rain of light” is created and reminds the shadow made by the palm trees of the oasis in the Emirates.